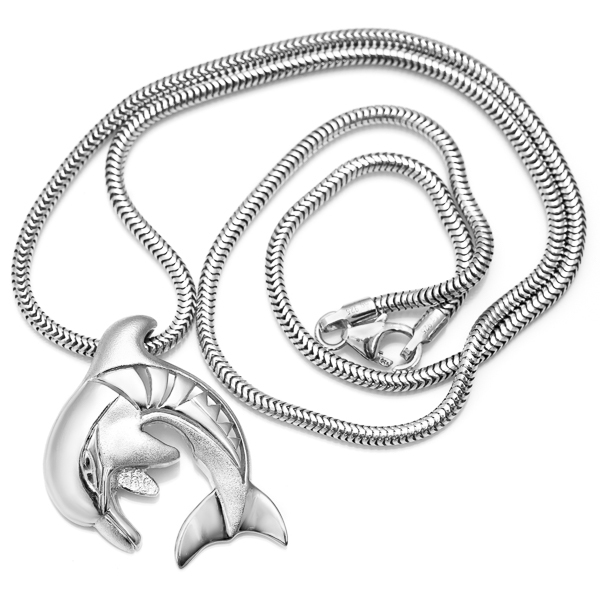 This dolphin necklace has been hand-carved with an intricate Hawaiian/Polynesian tribal design meant to symbolize the animal's strength and spirit. The eye is often called the window to the soul and so the dolphin's eye features prominently in this design. Nai'a is the Hawaiian word for dolphin and refers to the many different species of dolphins commonly seen throughout the islands. 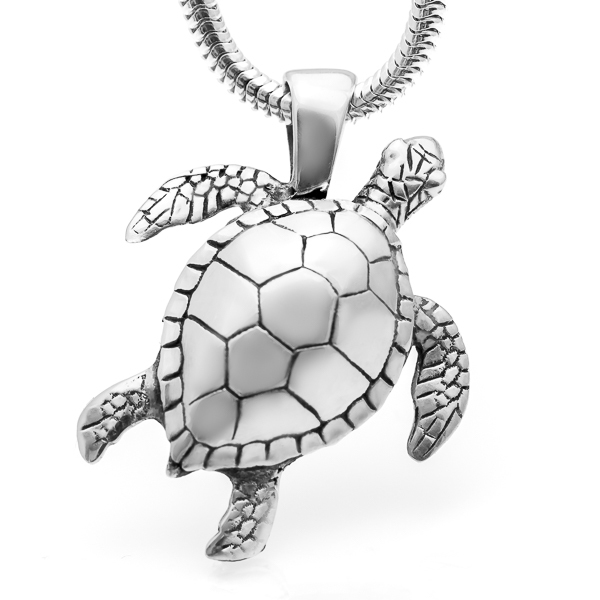 This pendant is available in sterling silver or 9 carat yellow gold (white gold, rose gold and other metals also available on request). Silver pendant comes on a 42cm sterling silver snake chain necklace in our signature World Treasure gift pouch. Gold pendant comes with a complimentary gold colored silk cord as well as a World Treasure gift box and bag. Free shipping worldwide on all orders.